Carolyn Cox was born circa 1876 at KS.2 She married Pearl Phillip Holcombe, son of Benjamin Byron Holcombe and Susannah Hull.1 Carolyn Cox died at Wenatchee, Chelan Co., WA. Guy Hamlin Holcombe was born on 27 April 1897 at WA.1,2 He was the son of Pearl Phillip Holcombe and Mattie E. Downing.1 Guy Hamlin Holcombe married Ruth L. Williams on 24 March 1928.1 Guy Hamlin Holcombe died on 14 January 1956 at Wenatchee, Chelan Co., WA, at age 58.1 He was buried at Holcomb plot, Wenatchee Cemetry, Wenatchee, Chelan Co., WA. Guy H. and Ruth L. were enumerated in the 1930 Canyon, Chelan Co., WA, federal census (ED 6, page 5B). He was a fruit farmer age 33, she was 24. the only child in the household was David 10 months. [S182] Social Security Death Index (on-line), Ancestry.com, SSDI, Ancestry.com, SSAN 484-07-4825. Alma Curtis was born on 7 November 1888. She was the daughter of James Alfred Curtis and Mary Holcombe. 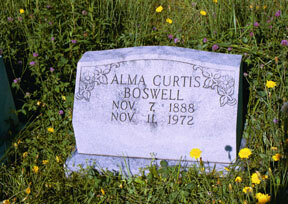 Alma Curtis married Nathan Van Boswell. Alma Curtis died on 11 November 1972 at age 84. She was buried at Oakland Cemetery, Atlanta, GA; Block 241, Lot 2, N 1/2. 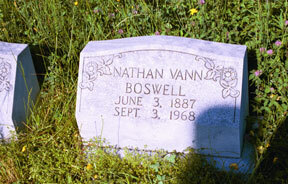 Nathan Van Boswell was born on 3 June 1887 at IN.1 He married Alma Curtis, daughter of James Alfred Curtis and Mary Holcombe. Nathan Van Boswell died on 3 September 1968 at age 81. 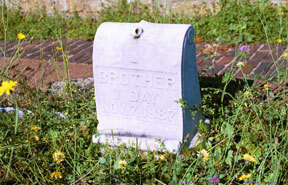 He was buried at Oakland Cemetery, Atlanta, GA; Block 241, Lot 2, N 1/2. Son Curtis was born on 6 November 1887. He died on 7 November 1887. He was the son of James Alfred Curtis and Mary Holcombe. Son Curtis was buried at Oakland Cemetery, Atlanta, GA; Block 241, Lot 2, N 1/2. The only evidence of this child is the gravestone in the Oakland Cemetery. Bertha Curtis was born in 1885. She was the daughter of James Alfred Curtis and Mary Holcombe. 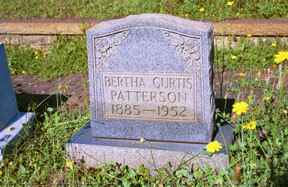 Bertha Curtis died in 1952. She was buried at Oakland Cemetery, Atlanta, GA; Block 241, Lot 2, N 1/2. The only evidence for this person is the gravestone in the Oakland Cemetery. Ida Curtis was born on 22 January 1878 at GA.1 She was the daughter of James Alfred Curtis and Mary Holcombe. 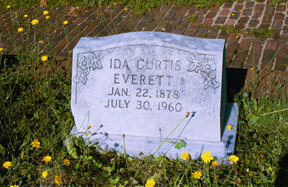 Ida Curtis married Claud Everett. Ida Curtis died on 30 July 1960 at age 82. She was buried at Oakland Cemetery, Atlanta, GA; Block 241, Lot 2, N 1/2. Widow Ida and son Curtis were enumerated in the 1920 Atlanta, Fulton Co., GA federal census (ED 122, Page 13A) on Ashby St.
Claud Everett was born in December 1877 at GA.1 He married Ida Curtis, daughter of James Alfred Curtis and Mary Holcombe. Claud Everett died before 1920. Curtis H. Everett was born on 25 October 1898 at GA.1 He was the son of Claud Everett and Ida Curtis. 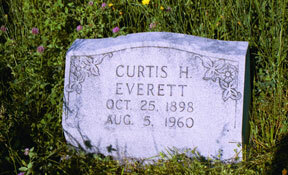 Curtis H. Everett died on 5 August 1960 at age 61. He was buried at Oakland Cemetery, Atlanta, GA; Block 241, Lot 2, N 1/2. Annie Mae Bennett was born on 24 July 1901. She married James Alfred Curtis Jr., DDS, son of James Alfred Curtis and Mary Holcombe. 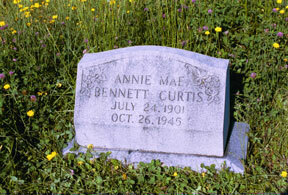 Annie Mae Bennett died on 26 October 1945 at age 44. She was buried at Oakland Cemetery, Atlanta, GA; Block 241, Lot 2, N 1/2. Jacob G. Fletcher was born in 1823. He married Mary Ann Dibble, daughter of Selah Dibble and Salina Holcombe. [S182] Social Security Death Index (on-line), Ancestry.com, SSDI, Ancestry.com, SSAN 478-12-8835. The 1930 census gives Fred's age as 15; Marilyn LaPlante and the SSDI give the birth date of 28 Aug 1900. Their parents' marriage date is 1905.